Covesting is an advanced cryptocurrency trading platform incorporated in Europe. The platform offers its users with different features, including a copy-trading feature and a Fiat/crypto gateway, and is fully compliant with the strict regulatory requirements of European regulators. The steps below will help you start trading Bitcoin on Covesting. From here, click on the “Registration” button on the top right of the page. 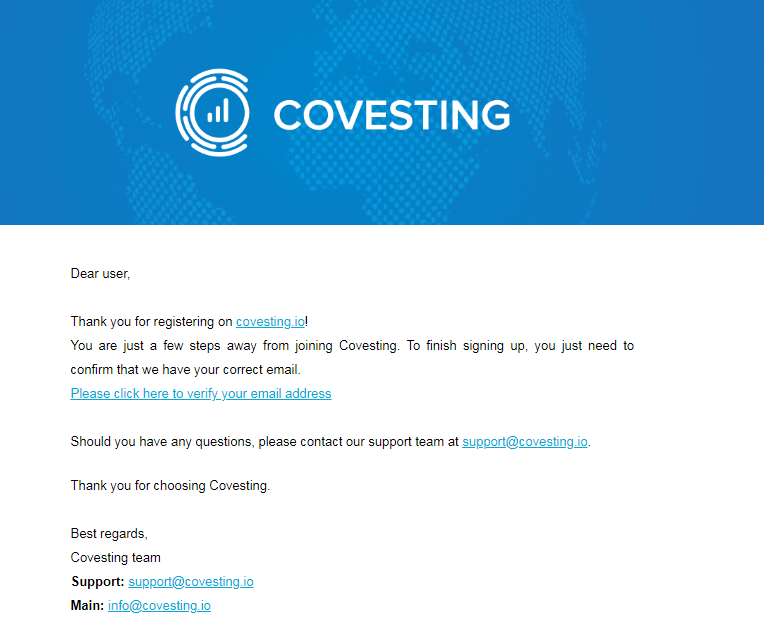 After filling out the aforementioned form, you will receive a confirmation email from Covesting. Please open this message and click on the verification link to proceed to the next step. Great job! You have registered an account on Covesting. To start trading on the platform, you must first verify your account and proceed with our “Know Your Customer” (KYC) requirements, which are essential for providing Covesting clients with unparalleled safety and to reduce illicit activities like money laundering and terrorism financing. First, you will upload some basic personal information, including your name, phone number, source of funding, and date of birth. 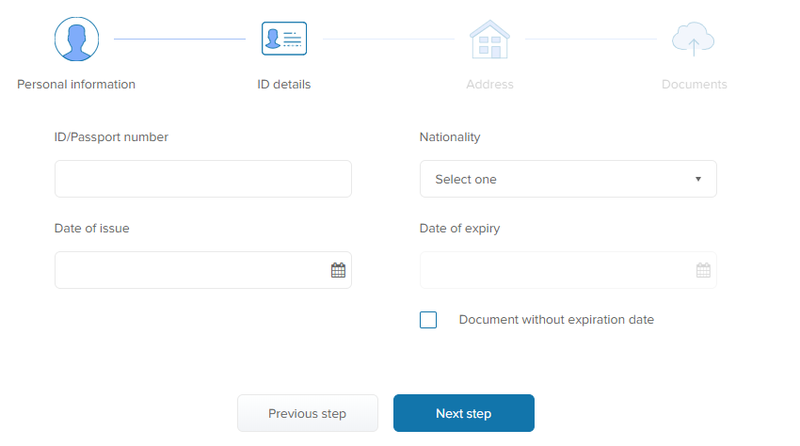 Next, you will fill in your ID information, including your nationality, ID/Passport number, and your ID’s date of issue and date of expiry. Then, you will fill out your address information. 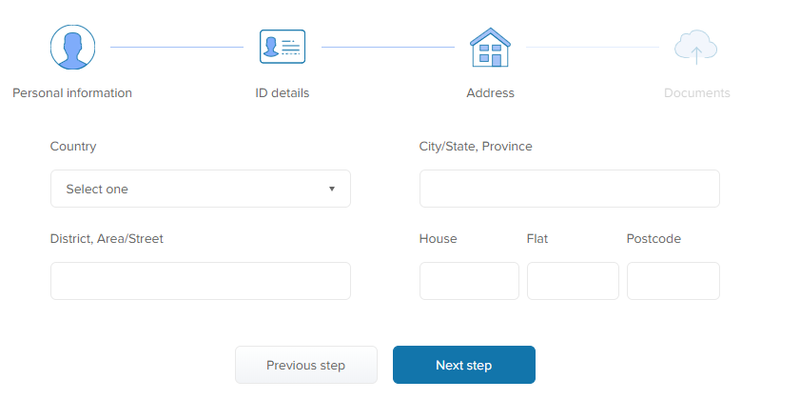 And finally, you will securely upload your ID and proof of address documents. 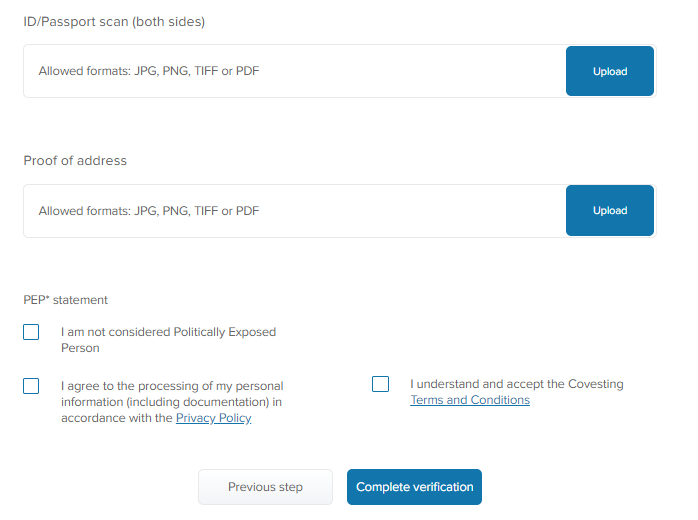 Once all of these processes are complete, click on the “Complete verification” button. Covesting team will review within a few days and will alert you once you can start trading. Perfect! You have verified your identity on Covesting. Covesting strongly recommends that all of their clients secure their accounts with 2FA in order to ensure that no unauthorized parties ever gain access to their accounts. 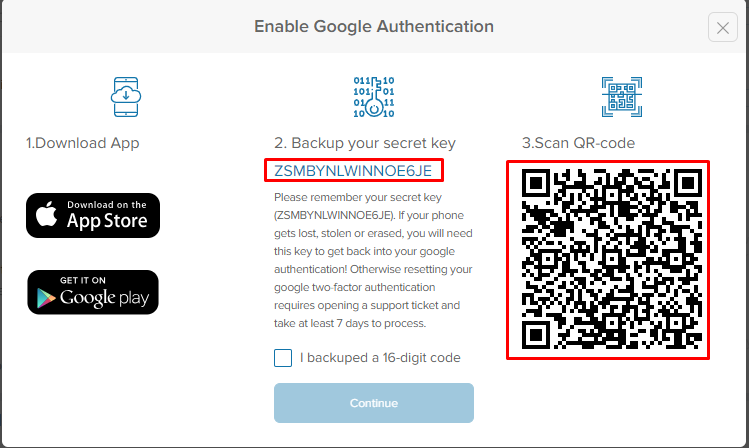 From here, you will be prompted to download the Google Authentication mobile app, and to copy the “Secret key” and to back it up. Then, scan the QR code with the mobile application. Excellent! Your Covesting account is now secure. After completing all of the previous steps, you are almost ready to start trading! 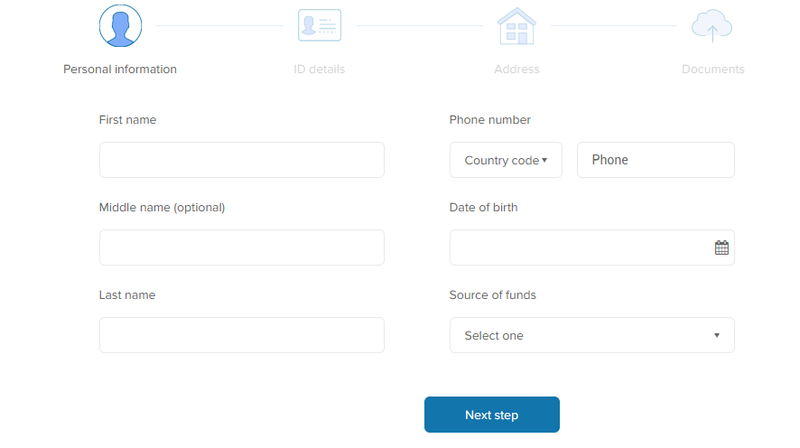 As a final step, you must fund your account by going to the “Funds” section on the Covesting platform. Then, decide which cryptocurrency you want to use to fund your Covesting account, and click the coordinating “Deposit” button. 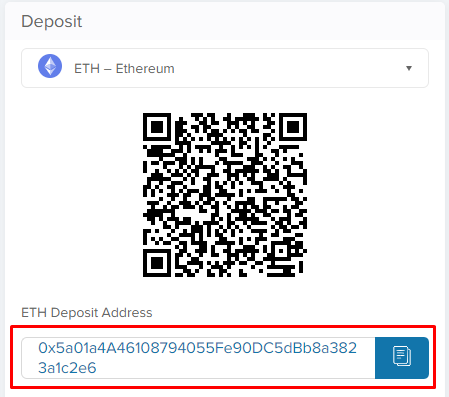 Copy the address of the chosen currency and use it as the receiving address on your external cryptocurrency wallet. 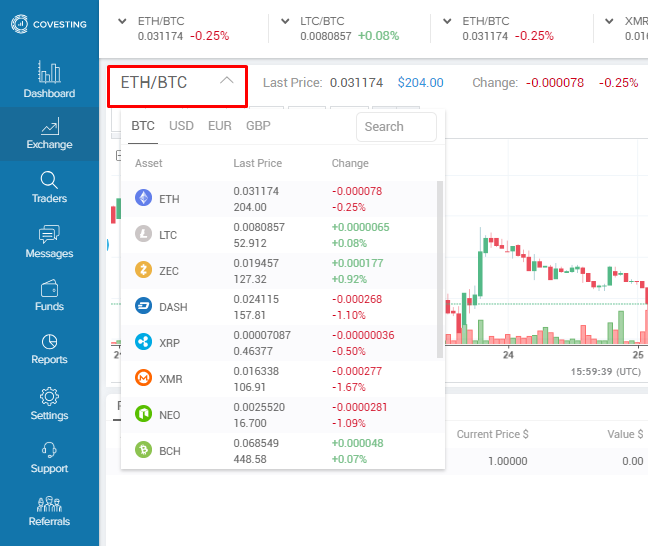 You can actively monitor the status of the transaction on the “Report” page. Once the transaction is processed, navigate back to the “Funds” page and transfer the tokens you want to trade with from your Wallet and into your Portfolio. Awesome! You have funded your Covesting account and now ready to start trading. 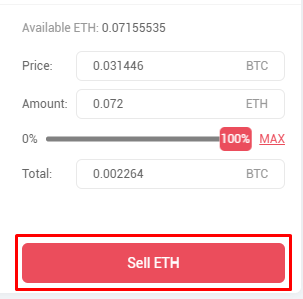 Once you have funded your account, you can begin trading by navigating to the “Exchange” page and selecting the asset you are interested in purchasing. Once you select the asset and trading pair you are interested in, fill out the purchase order by selecting the price and quantity of the asset, and click the “Buy” button. You will then be able to see your order in the “Order book,” which will allow you to actively track how close your order is to being filled. Once your order fills, you will instantly have access to the purchased Bitcoin! Congratulations! You just bought your first Bitcoin on Covesting.